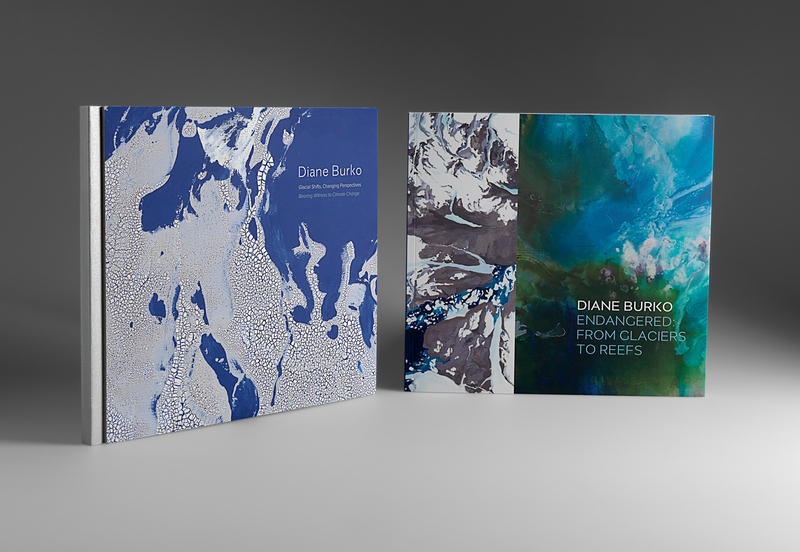 For years artist Diane Burko has shed light on the detrimental effects of climate change in an extraordinarily unique way – through art. While her original large-scale paintings focused on the dramatic disappearance of glaciers, her attention over the past year and half has shifted to the destruction of coral reefs in our oceans. 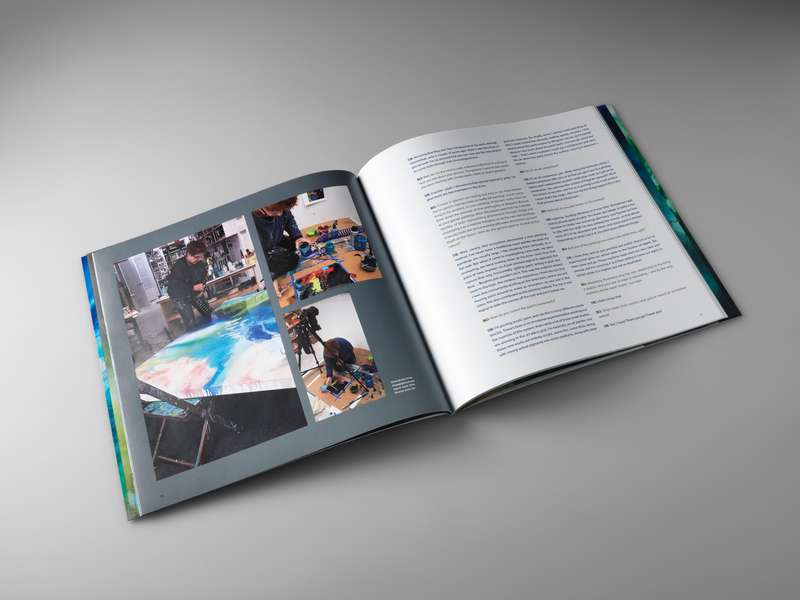 “Endangered: From Glaciers to Reefs” brings these two bodies of work together in a very powerful publication designed by longtime Brilliant client and friend, Phil Unetic. 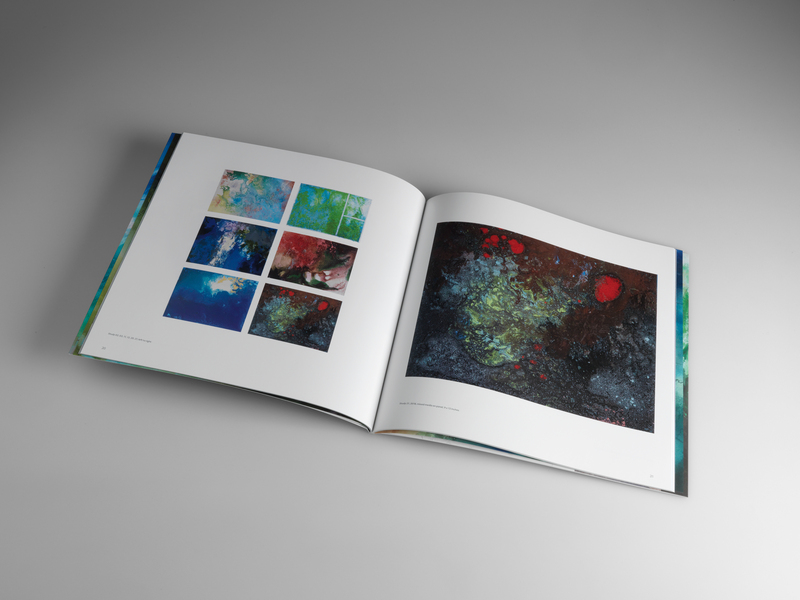 The double gatefold cover and vibrant colors throughout only add to the bold statement this book embodies. Finished size 9.5" x 9". 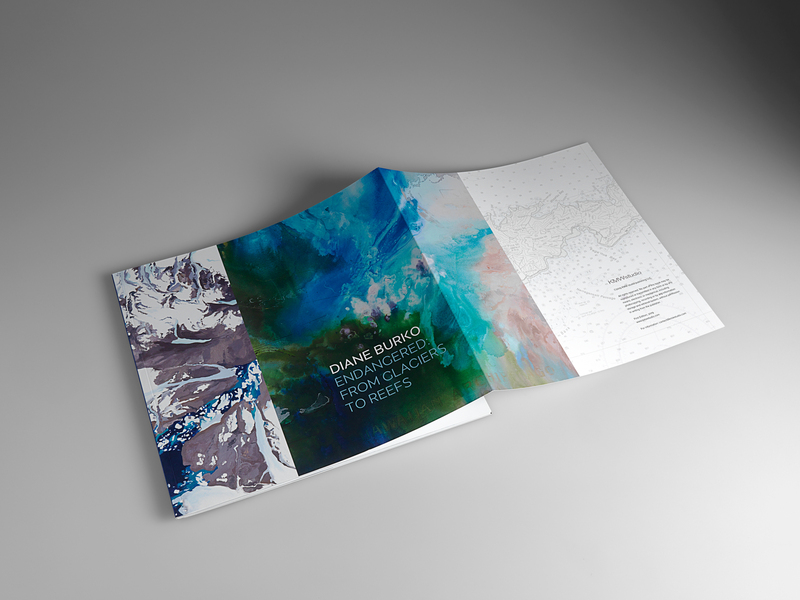 46 pages plus double gate folded cover. Features soft touch film lamination on cover. Text pages printed on 100# Opus Dull Text.